Monitoring is an integral part of population enhancement and is critical to evaluate a program’s success throughout its many phases. Without collecting data, it is impossible to determine whether donor corals have been adversely harmed when collecting fragments for a nursery, whether there is good coral survivorship and growth rates in nurseries, and whether corals outplanted on reefs are healthy and aiding in the recovery of wild populations. Tracking the origin and location of outplanted corals is also vital for ensuring population enhancement efforts increase local genetic diversity within a coral population. Monitoring corals in each of these steps allows practitioners to determine where problems arise and adapt their programs to improve overall goals and success. Current monitoring methods and future techniques being researched to track site-level effects of restoration are discussed in this section. Monitoring corals during the nursery and outplanting stages also allows managers to assess how their program is doing relative to well-established and successful coral gardening programs. A useful guideline for this is found in Schopmeyer et al. 2017, which compared success rates between restoration programs and has proposed a stop-light framework for evaluating overall restoration program success. Benchmarks are likely to vary based on the region, however these are generally useful guidelines for any new coral restoration practitioner. 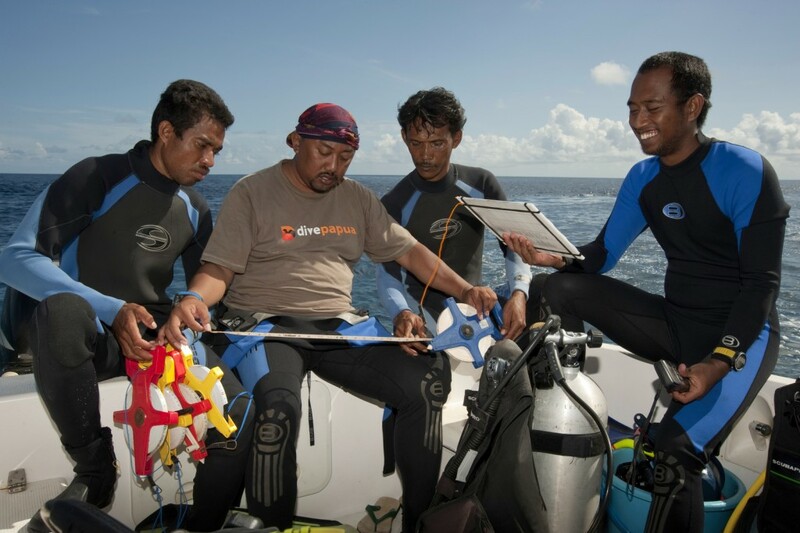 Practitioners within a particular country or region may consider sharing monitoring data among each other in an effort to ensure high coral success across all programs. This section focuses on two types of monitoring for coral restoration: coral colonies and reef sites.